Cheap soundbars are a lot like cheap headphones. Many of them will do the job. Few of them will do it well. The new TV Mate by Samsung fits firmly in the first category. It will indeed make the audio on your TV louder and better. 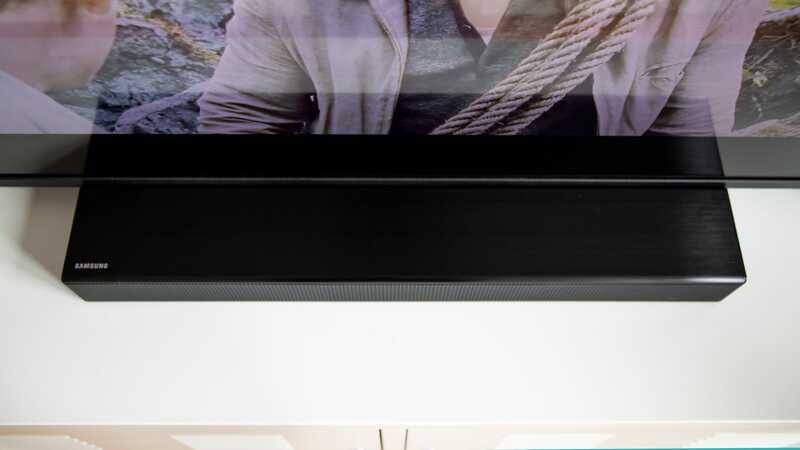 It will not, however, trick your friends into thinking you have a souped-up home cinema. That might be okay! 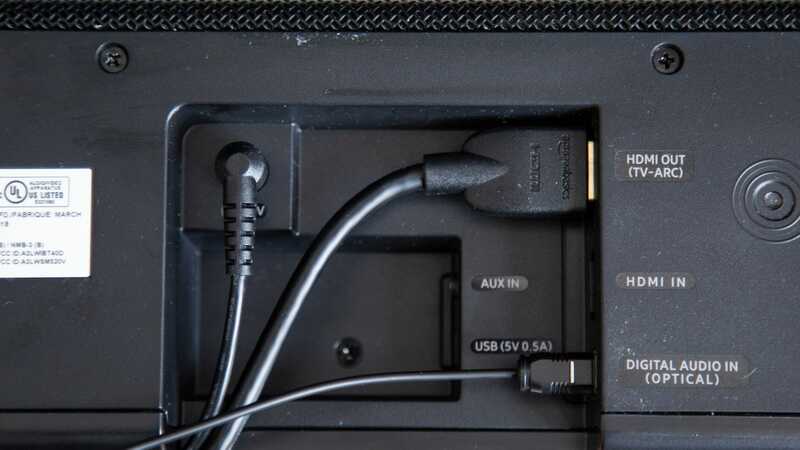 The compact piece of hardware will fit neatly underneath most displays. It also sports a lot of the basic features you’d want from a home audio product, including HDMI ARC support, an optical audio input, surround sound capabilities, and even Bluetooth functionality. Samsung sums up this up on its website as “better TV sound,” and I can confidently say that the company is correct. The TV Mate is better than your TV. But it’s far from the best soundbar you can buy. 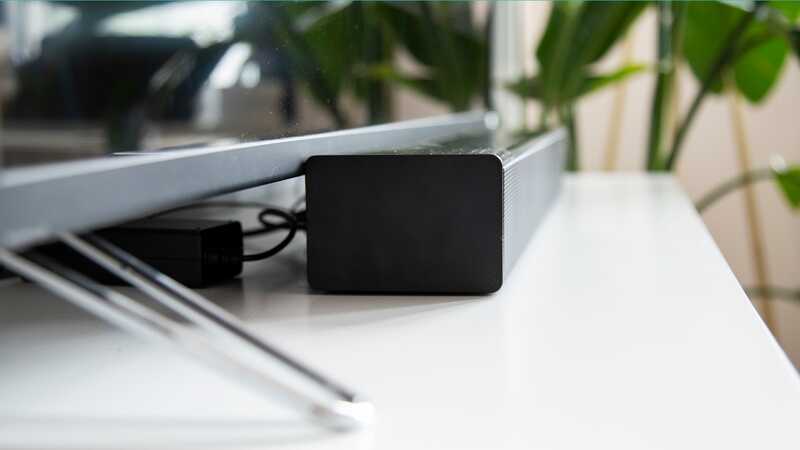 At $200 (£151; UK availability and pricing TBA), the TV Mate is about as cheap as soundbars come. There are four speakers inside, but there is no subwoofer. There is no wifi audio support either—just the Bluetooth and the option to set up a wireless surround sound system. The TV Mate is also not super slim, but it is rather short in terms of length. In terms of audio quality, the soundbar is absolutely average. It sounded to me like the speakers on my TV got louder, and for every day TV watching, that was all I really needed. I just wouldn’t get my hopes up and think that Samsung is selling a $200 home audio solution with cinema-calibre results. Without an external subwoofer or surround sound speakers, the new TV Mate can only do so much to enhance your entertainment experience. You’re not going to feel the deep rumble of the pod racers in Star Wars: Episode 1 - The Phantom Menace. The big gorilla in Kong: Skull Island will sound loud but not particularly growly. I think I’d even prefer to watch Blade Runner with headphones instead of this soundbar. But it is cheap! Consider this though. If you’re willing to spend a little more, you can get Samsung's HT-J4500 Home Theatre System for £205.50. That includes a subwoofer and five satellite speaker. It’s not a soundbar, so it will be more complex to set up, but the sound will be better too. 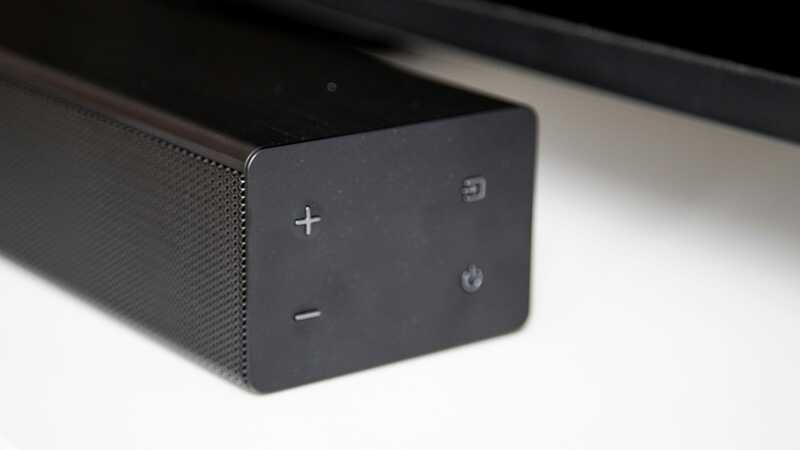 You might also want to consider one of these fancy new soundbars with a built-in voice assistant like the £400 Sonos Beam or the TCL Roku Smart Sound Bar, which goes on sale later this year. I can’t say which of these sounds the best because I didn’t test them against the TV Mate, but spending a few more pounds will definitely get you more features than this barebones bar. At the end of the day, buying the new Samsung TV Mate ought to be a question of budget. 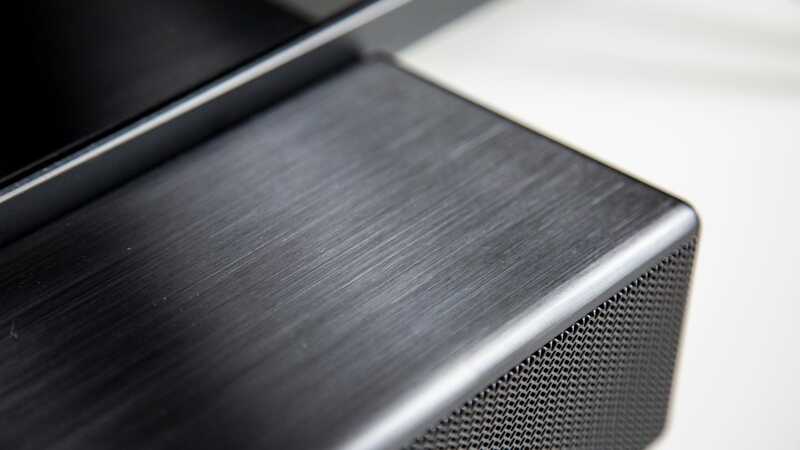 Is $200 really all you want to spend on a soundbar? If you really just want a super cheap soundbar, you might want to check out the cheap Vizio, which offers a lot of the same features as the Samsung. 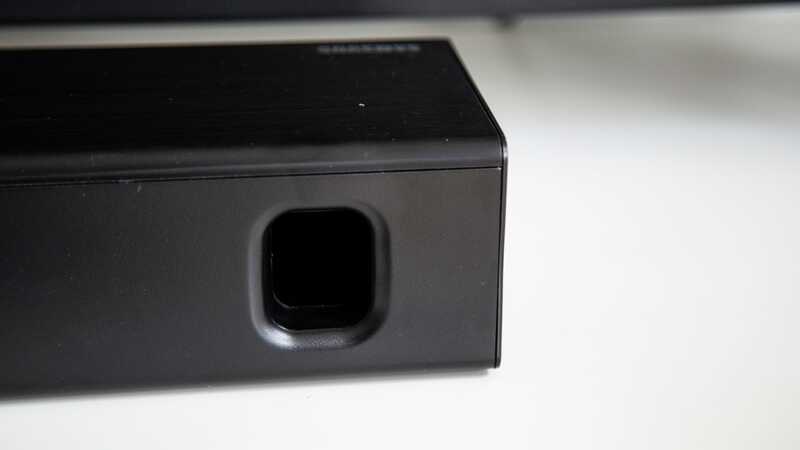 If you’re a Samsung loyalist, though, the TV Mate will surely work well with your TV. You can always add that home cinema system on top of it and still walk away with less than £500 invested in your entertainment experience. And that’s the beauty of home audio: you can always spend more money and get more speakers. 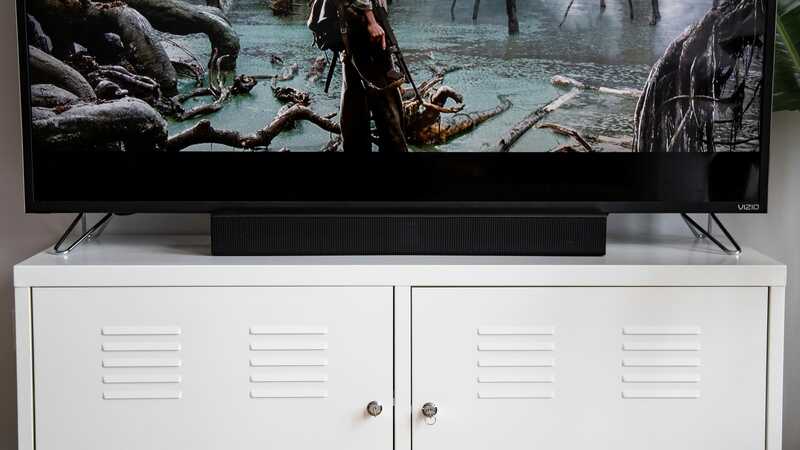 They might not be the best, but anything will be better than your crappy built-in TV speakers. It provides a decent improvement to your speakers, but not much. There’s no subwoofer include, so bass isn’t the best. There are a lot of other, more robust, options for a similar price.